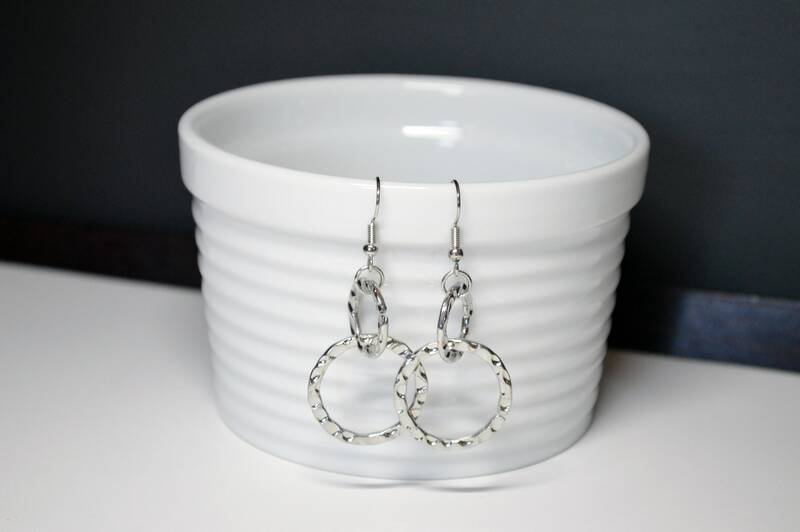 Silver Hammered Dangle Earrings - These Modern two drop earrings are designed with everyday wear in mind. 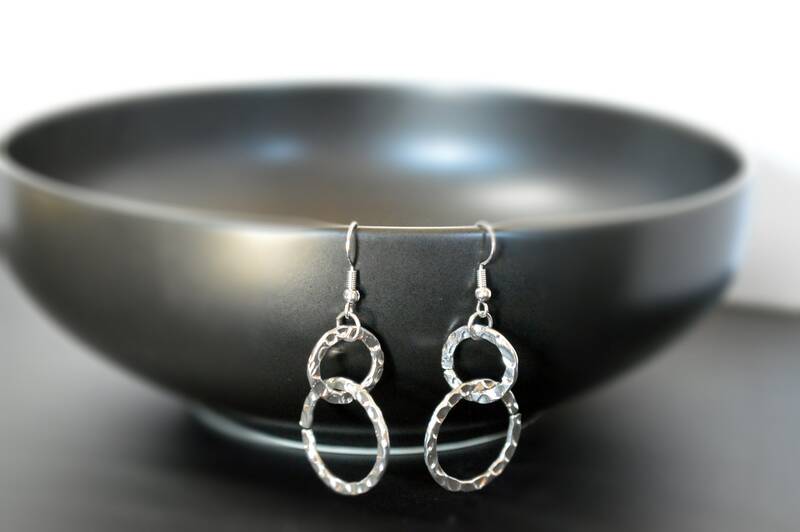 The hoops are hammered and textured to capture light for a shimmering effect and interlinked so they swivel easily. 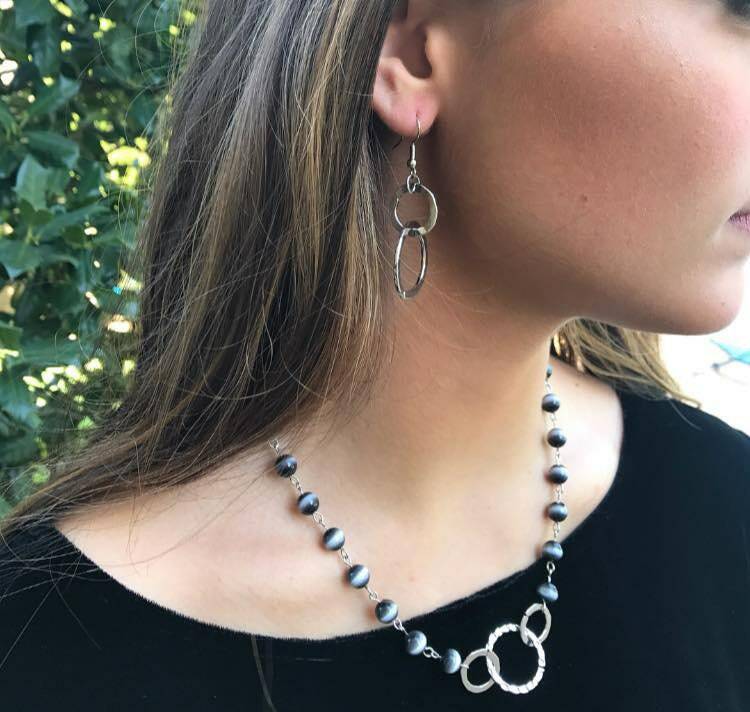 You'll love how versatile they are - wear them with your little black dress or casually with a pair of blue jeans. They are a perfect "girlfriend gift"